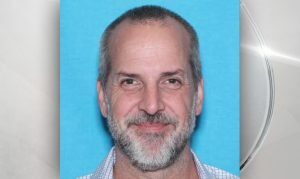 McMINNVILLE, Ore. – Police in Oregon and California are trying to find additional potential victims an ex-photographer accused of sexually assaulting many of the models he worked with. The Federal Bureau of Investigation said 52-year-old Robert Arnold Koester was arrested in November of last year for allegedly sexually assaulting numerous individuals he worked with, including some under 18 years of age, since 1994. Koester has a number of aliases, including Bert Kay, Rhake Winter and Qitooly. According to the FBI, numerous victims of Koester have been identified in different cities across the United States, primarily on the west coast. Koester currently faces 23 charges in California, two federal counts of sexual exploitation of a minor, and 32 felony counts in Oregon. While Koester remains behind bars, the FBI is now looking for any additional victims. If you or someone you know may have been victimized by Koester, the FBI has a secure and confidential online questionnaire. Information may also be submitted to [email protected].